Encorepreneur! - David Poole - All You Need to Know About Virgina Politics, But Didn't Know Where To Ask! David Poole - All You Need to Know About Virgina Politics, But Didn't Know Where To Ask! "ALL YOU NEED TO KNOW ABOUT VIRGINIA POLITICS...BUT DIDN'T KNOW WHERE TO ASK"
Have you ever wondered whether a neighbor or a friend supports Democrats or Republicans? Do you think candidates are wasting money on all those negative TV ads? Where did the $65 million spent by candidates for Governor in 2017 come from? Where did it go? David Poole, our January speaker, will answer all but the first of these questions and many more. He will also talk about the how less than $1 decided who controls the House of Delegates in 2018, redistricting in 2021 and other important trends that will shape Virginia politics in the future. David is the founder and Executive Director of the fiercely non-partisan Virginia Public Access Project. The group manages a state-of-the -art database and website with a singular focus on giving Virginians the information they need to make informed decisions. Virginia is one of a handful of states with no contribution limits and few restrictions on who can contribute. Contributions over $100 have to be reported by candidates but, prior to VPAP, there was no meaningful access to the information crammed in file cabinets at the State Board of Elections. In 1997, David Poole took a leave of absence from his job as a political reporter for The Roanoke Times to build a campaign finance database for 5 Virginia newspapers. Poole envisioned transforming the database into a public resource that would provide meaningful public access to information about Virginia politics. He recruited a Board of Directors who shared his vision, and VPAP was incorporated in April 1997. David is a Florida native and graduate of UNC-Chapel Hill. He worked as a newspaper reporter from 1983 to 1997. His last assignment was state capital correspondent for The Roanoke Times and Virginian-Pilot. He commutes two miles by bicycle from his Fan District home. He and his wife, Clare Tilton, have a son, Tucker. 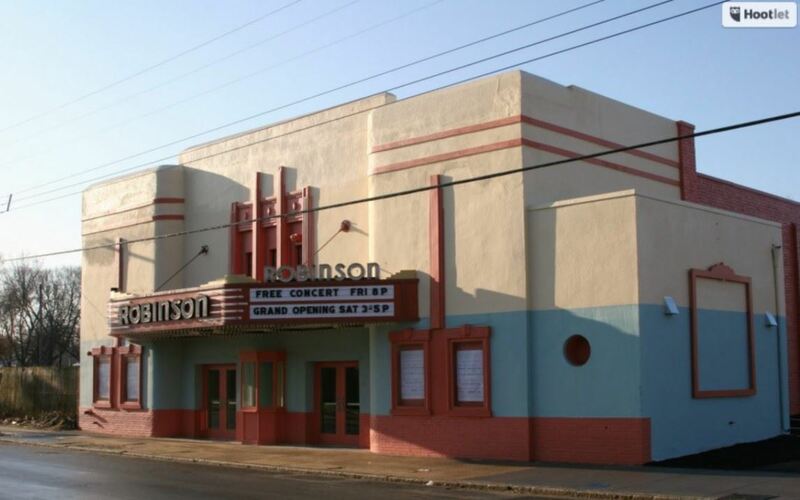 Built in 1937, the Robinson Theater was a sophisticated version of Art Deco Moderne architecture. that was the the center of activity for the thriving hurch Hill Ccommunity. The theater was named for Bill “Bojangles” Robinson, a native son of Richmond who grew up to be “the toast of Broadway, dazzling audiences with his remarkable footwork”.